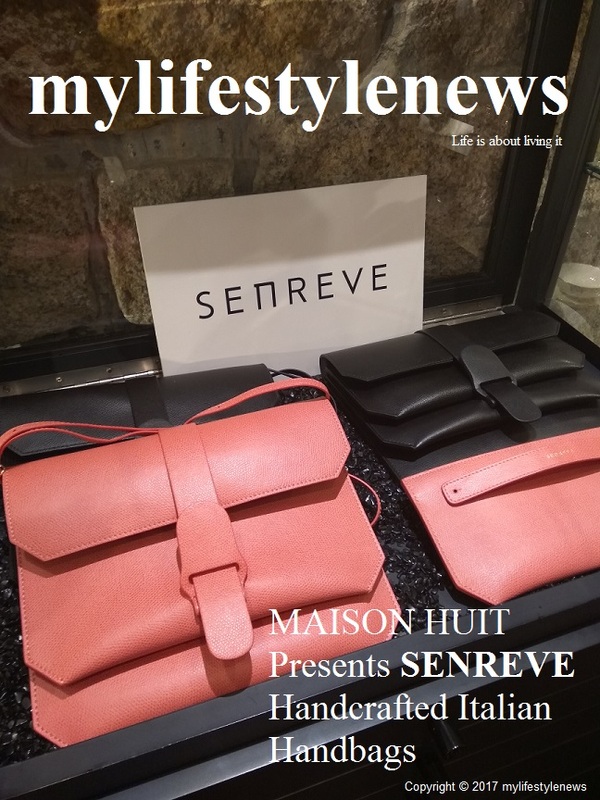 MAISON HUIT presents SENREVE, a luxury handbag brand founded by two young Silicon Valley professionals Coral Chung and Wendy Wen, who sought to strike a perfect balance between the two, and came up with a stylish and comprehensive solution: SENREVE handbags. SENREVE is derived from the French words for “SENSE” and “DREAM”. The handbags are designed for the multi-faceted modern women that marries art and science, beauty and versatility. All SENREVE bags are handcrafted from top quality genuine Italian leather by skilled artisans in Tuscany, Italy, using only the finest and most durable leather, as well as most consummate techniques, to ensure everlasting style and quality. Each bag is expertly handcrafted to look and feel soft and supple, structured yet lightweight, and durable and water-resistant. SENREVE’s three most popular handbags are the Maestra, the Doctor, and the Crossbody. The multi-tasking Maestra can be worn four ways – satchel, tote, crossbody, or backpack, and has enough room to fit a 13-inch laptop. The Doctor boasts a polished rectangular body paired with sleek handles and a detachable body strap, and can be worn relaxed or boxy. The Crossbody easily transitions from day to night – alternate between the swappable chain and leather straps for a different occasion and vibe, and swap in a removable Bracelet Pouch for a fresh, innovative look.